The Graduate Theological Union is actively engaged in a search for the school’s next president and will continue to accept applications from interested candidates through March 1, 2018. We are seeking an innovative and collaborative leader whose compelling vision can inspire and unite this dynamic interreligious institution. The presidential search committee is encouraging the entire GTU community to invite qualified candidates to apply for this position. Those interested in applying can download a full job description for the position and can find additional information on the Presidential Search Committee page of the GTU website. Candidates should submit a letter of interest along with a CV and three professional references. Application materials can be sent via email to search committee chair William Glenn (wglenn@gtu.edu) or by mail to Chair, Presidential Search Committee, c/o The Office of the President, Graduate Theological Union, 2400 Ridge Road, Berkeley CA 94709. Review of applications will begin on March 1, 2018, and will continue until the position is filled. About the Graduate Theological Union: The Graduate Theological Union in Berkeley, California, is a unique consortium of some more than 20 member schools, centers, and institutes, with a world-class library. 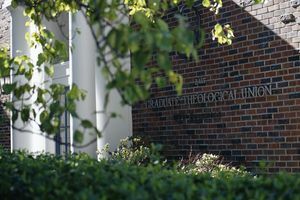 Founded in 1962, the GTU is the most comprehensive center for the graduate study of religion in North America, bringing together scholars of the world’s great religions and wisdom traditions to grow in knowledge, thrive in spirit, and unite in solutions.